Current fashion market does not really provide plus size women with a big choice. Most women often get the answer "We don't have your size" in the shops. But fortunately that keeps changing. There is a growing number of plus size models and bloggers, who inspire women not to shy away from their curves, but to try wearing everything desirable. Cropped tops, bold patterns and bodycon dresses used to be no option for curvy women but that trend is changing now and women with beautiful forms can be fashionable with no restrains. Above I've selected the best plus size bloggers who are making a difference in the fashion industry and creating more opportunities for women. Gabi Gregg's blog, Gabifresh was established in 2008, it had started as a hobby but eventually grew into a full time job. Its motto is "Ignore Fashion Rules". So, Gabi inspires women to take risks when choosing clothing without blindly following the mainstream fashion ideas. Gabi has been featured in many popular magazines, such as Glamour, Teen Vogue, InStyle, The New York Times, Seventeen, Time Out New York and Cosmopolitan. Nicolette Mason's blog Nicolette Mason was established in 2008. She shares her personal style and everything that she loves. Nicolette has contributed to dozens of publications including Marie Claire, Vogue Italy, Brooklyn Magazine, The L Magazine, Refinery29, Glamour Italy, and more. 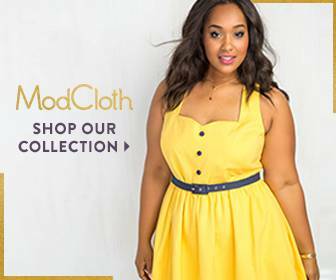 Nicollete also partnered with Target on the launch of their plus-size brand - Ava & Viv. Chastity's blog Garnerstyle (formally The Curvy Girl's Guide to Style) was started in 2008. She was aiming to help women with plus size in choosing their style. She's also interested in make up. Her style is classic with a twist but she's never afraid to get out of her comfort zone and try something new. Chastity is also the author of the book The Curvy Girl's Guide to Style. Chastity has been seen in Oprah.com, the New York Times and Elle Magazine. Callie launched her blog From the corner of the curve as a diet diary. At that time she was feeling very frustrated about her body. But she decided to look at herself from a new corner and accepted her body as it was. Due to that, Callie found peace and confidence in herself. 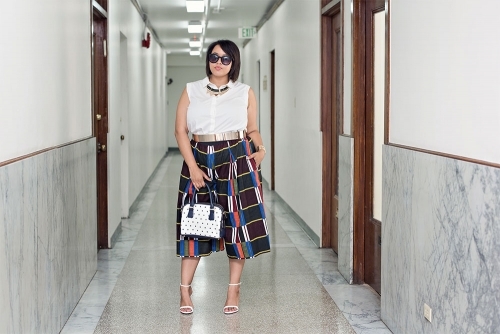 She believes that women of any size should be able to enjoy fashion. Alissa's blog Stylish Curves was established in 2009. She had a rough start as a fashion writer, so she decided to start writing a blog. 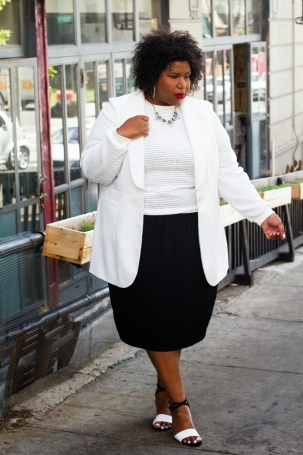 As a plus size woman, she knew how hard it was for women over size 12 to find stylish clothes. So she started her blog as a shopping service to help curvy women finding trendy clothes of their size. Alissa likes to say that she's happy with her body. That's why she wants to make other women flatter their curves. She’s interviewed designers from Christian Siriano to Farah Angsana and celebrity stylists like Lori Goldstein. She’s also worked with plus size brands Fashion to Figure, One Stop Plus, Lane Bryant, and Just My Size. Alissa has been featured in national magazines such as Essence magazine and on websites such as Glamour.com and has been part of brand campaigns for large well-known brands like JCPenney. Margie is totally in love with fashion and writing. But she's realised that fashion is not so open for women with size over 12. That's why she has started her blog Margie Plus to inspire women of all shapes to be more confident and to break the boundaries in fashion. She's also a Lucky magazine contributor. 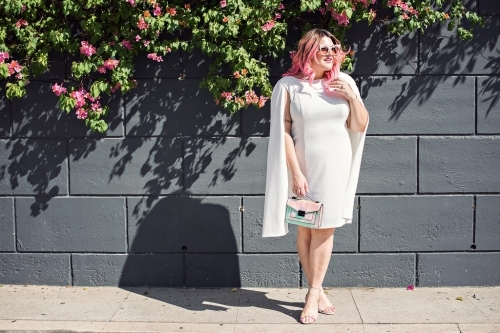 Allison is a serial shopaholic and she started her blog Curvy Girl Chic as a way to connect with other plus size women who are in love with fashion. Now this blog has become a place for all the fashion lovers who want to get inspired from her looks and find new shops, also discuss the latest fashion trends. Allison has collaborated with many fashion and lifestyle brands, including Mynt 1792, ASOS, Torrid, Simply Be, Rachel Pally, Wet Seal, ELOQUII, Lane Bryant, and many more. Allison also contributes to People Style Watch online. Franceta is a fashion lover and a graphic designer. She started her blog Franceta Johnson in 2010 as a personal journal. She is known for her humor and creativeness. She also encourages women to wear whatever they like if it feels amazing to them. 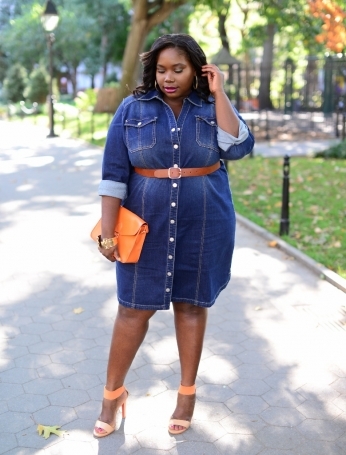 Chante's blog Everything Curvy and Chic is popular among plus size fashion lovers. She's trying to fill confidence in women through fashion-beauty-lifestyle. She tries to prove that size is not a barrier for women to dress well and it shouldn't affect confidence and self-esteem. 'Be healthy, confident and chic' - that's her motto. She's been featured on Plus Model Mag and Style Blazer. Chante even started a Youtube channel that now has about 2,000 subscribers, as well as over 121k Facebook likes and 42k Instagram followers. Kellie describes herself as a lover of leather, lipstick, and little lacy things. She brings fun and humor into the world of fashion through her blog And I Get Dressed. She's been featured on CNN, Ebony, Essence, Lucky and Glamour.